Working at ABCey Events, we know how stressful event planning can be. Sometimes there is not even enough time to eat a proper meal, which can have a negative impact on our health. Instead of grabbing a burger and fries at the nearest fast food place, you could spend your money on much healthier food that also helps you to become more relaxed. ABCey shows you the 6 best snacks to eat while working in a stressful job. Avocados are a real nutrient booster! They include glutathione, lutein, beta carotene, folate and the vitamins A and B. A few slices of avocado added to your sandwich gives you a boost of all these vital nutrients! But avocados are also great in salads or dips. The potassium included in avocados also lowers your blood pressure and makes you feel more relaxed. But be aware that avocados also include a lot of fat and should be enjoyed in moderation. Bananas officially belong to the world’s healthiest foods. Similar to avocados, bananas include a lot of potassium, which lowers blood pressure. They also fill you up quickly and are an ideal snack to eat if you’re in a rush. They are a great source of vitamins, minerals, and fiber. No matter if you like raspberries, blueberries, strawberries, or blackberries; they are all a great source of antioxidants, which are linked to all kinds of health benefits and promote brain function. Berries are also very rich in vitamin C, which lowers blood pressure and relieves stress. Fresh vegetables are always a good snack! Crunchy carrots or celery stalks are simply fun to eat and make you feel refreshed. They are low in calories but high in vitamins, which makes them real feel-good snacks. Additionally, we can dip our veggies in tasteful dips or hummus. Nuts boost our immune system with vitamins and zinc. Particularly walnuts include omega-3 fatty acids that prevent memory loss and keep our brain fit. Cashew nuts are especially rich in zinc, which fights against anxiety and depression. In addition, almonds, pistachios, and hazelnuts are great snacks for when you’re on the go. Now that we’ve got the vitamins taken care of, it’s time for a different kind of power snack! Chocolate is a stress relieving snack that triggers specific hormones in our brain which help us to relax. Research has proven the positive effects of chocolate consumption on our mood and stress levels. The darker the chocolate, the more polyphenol and flavonol it contains. These antioxidants help us to stay calm in stressful situations. It’s a great excuse you can use to enjoy chocolate even more in the future! What is your favorite snack to enjoy when you are stressed? Tell us about it in the comments below or on Facebook and Twitter. 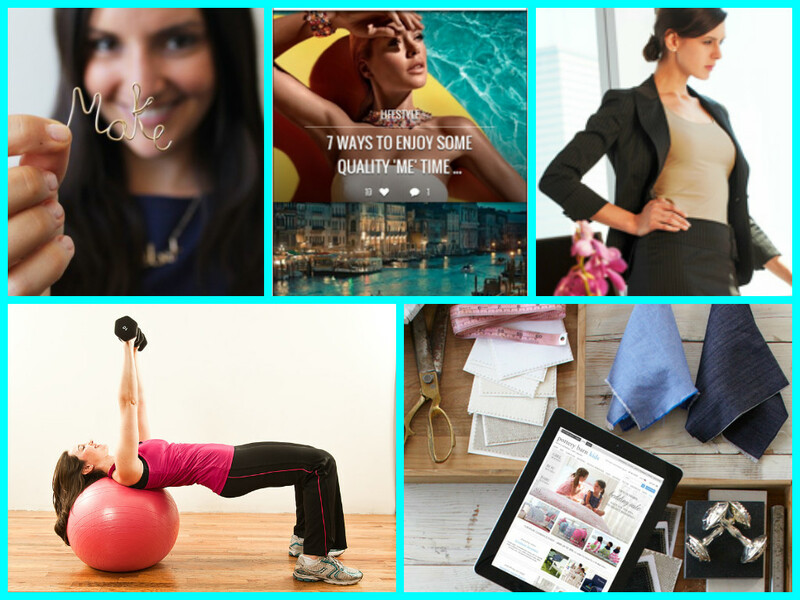 As women, we have so much that interests us: health, beauty, current events, travel… the list goes on and on! If you’re looking for news and tips that directly appeal to you, look no further than ABCey’s favorite women’s lifestyle sites! 1. All Women Stalk | No matter what you’re into- health, celeb gossip, beauty- All Women Stalk has it! Visit the site or download the free app on your iPhone for daily articles about tips, tricks, and trends in the fields that interest you. 2. Brit.co | Think of this site as Martha Stewart for the modern gal! Technology, cooking, decorating, and style are mixed with a DIY flair to keep you creative and crafty! 3. The Beauty Bean | True beauty, health, and wellness tips and articles without a focus on dieting and getting thin. This site will make you feel truly beautiful inside and out without the negative attitudes! 4. Corporette | Are you an overachieving career chick? This is the perfect site for you (and all those who want to be)! If your lifestyle IS your career, you’ll love the job advice and fashion tips for being office fabulous. 5. She Knows | Every part of your life (parenting, home, health, love… the list never ends!) ends up on one all-inclusive site. Whatever She knows, you’ll be excited to know too! What’s your favorite lifetsyle site or app? Tell us about it in a comment and on Facebook & Twitter! It’s February and flu season is in full swing. If you haven’t been hit yet, you know at least a handful of people who weren’t as lucky. Whether you’ve got the 24 hour bug or you’re in bed for a week, being sick can cause some serious conflicts in your schedule! There’s nothing worse than falling behind in your weekly to-do list, so we’ve gathered a few apps and gadgets that can help you defend your immune system and ensure attendance to all of your important events. 1. Help, I Have the Flu is a new Facebook app that allows you to figure out who might have given you the flu or who to stay away from if you haven’t yet caught it. The app scans your friends’ Facebook profiles for keywords such as “coughing”, “sneezing”, “medicine” and “nurse.” It monitors suspicious check-ins which include checking in with other users they suspect to be sick, as well as late-night check-ins (sleep deprivation) that can cause you to be more susceptible to catching a cold. 2. f.lux allows a user to sleep better after computer and cell phone use by making the color of your screen’s display adapt to the time of day. We all know that sleep is an extremely important factor in staying healthy, but we also tend to take our laptops and cell phones to bed with us before getting some shut eye. Designed to reduce eye strain during the night time. This way, your body is being exposed to the right kind of light and will not inhibit the secretion of melatonin during night time. Pretty cool, right? 3. VitaDock is an app that can be used to track your health and wellness goals. It connects with a suite of modules designed to measure and track vital functions. You can mix and match a few of the modules in order to create the best tracking method for your own health goals, such as the ThermoDock to record your temperature and the CardioDock to track your blood pressure. 4. Proteus BioMed has invented a pill that will change the way you keep track of daily vitamin and medication taking! Taken at the same time as your daily medication, these harmless sugar pills have an implanted microchip inside them that sends a low-power electrical signal to an adhesive sensor patch placed outside your body. The patch records the date and time that you’ve taken the pill, and texts you if you forget to take it. 5. Sharecare has been called “Facebook with health info,” and is the newest way to do your own online medical research. It’s become increasingly common for adults in the U.S. to use a search engine to get answers about their ailments, and now they can share what they’ve found with others. 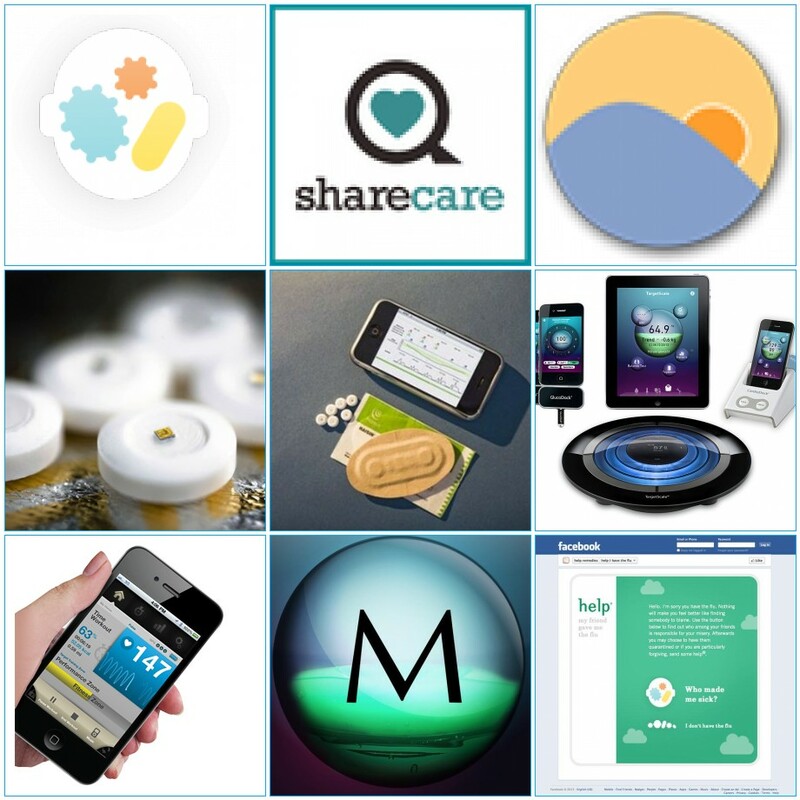 Sharecare allows users to find health experts, connect and share stories, and get information on topics ranging from the flu to autism. It’s bringing together the convenience of Google, the facts from WebMD, and professional opinions of real doctors. Learning how to prevent your illness from worsening has never been easier. Looks like missing your upcoming event is out of the question with these tools! Can you see yourself using any of these apps, gadgets, or sites? Let us know what you think in the comments below or on Facebook & Twitter!